The human brain is a biological wonder with considerable skills. Regeneration, unfortunately, isn’t one of them. Save for one tiny V-shaped region within the hippocampus, the human brain’s ability to rebuild itself is nearly nonexistent. When neurons die, there’s no backup reserve of cells to replace them. Brain trauma — a blow to the head, a stroke, or neurodegeneration — can be brutally final. You’re not getting lost neurons back. An obvious solution is to supply a broken brain with additional neurons, like swapping a broken stick of RAM with a new one. But a single neuron forms thousands of intricate connections to others near and far, and often these connections are established early in development. Can a foreign transplant really assimilate into mature neuronal networks after injury and automatically repair broken circuitry? According to a new study recently published in Nature, the answer is a promising yes. In mice with brain lesions, a German team showed that within two months of transplantation, foreign embryonic neurons matured and fully incorporated into an existing network within the hosts’ visual brain region. Amazingly, the adoptee neurons were nearly indistinguishable from the brain’s native ones — they carried the right information, established functional input and output circuitries, and performed the functions of the damaged neurons. 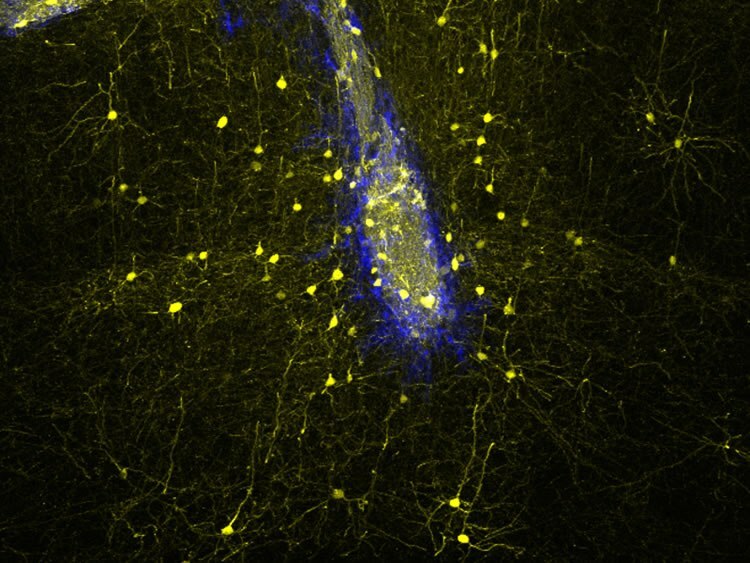 “To date, this is the most comprehensive study of the circuit integration of transplanted neurons into the adult brain, and the only study so far to follow the integration of individual cells throughout their life span in the new host,” says study author Susanna Falkner, a PhD student at the Max Planck Institute of Neurobiology to Singularity Hub. It’s a tour de force demonstration of brain plasticity that gives hope to cell transplantation therapies for devastating brain disorders like traumatic brain injury, Parkinson’s and Alzheimer’s disease. Cell transplantation studies are nothing new, but almost all previous studies used infant animals rather than adults as hosts. “Early postnatal brains are still developing and thus are much more plastic and receptive for grafts,” explains Falkner. Although a handful of attempts at grafting stem cells into adult mice brains have been published, so far no one has convincingly demonstrated that the grafts could mature and function in a foreign brain. To start off, the team used a powerful laser to precisely damage a small bit of brain tissue within a mouse’s visual cortex. The scientists picked the brain region with care. “We know so much about the functions of the nerve cells in this region and the connections between them that we can readily assess whether the implanted nerve cells actually perform the tasks normally carried out by the network, ” explains study author Dr. Mark Hübener. They then isolated immature neurons from the outermost layer of mice embryos and labeled them with a fluorescent protein tag. Under the microscope, these tags light up in brilliant reds and greens, which makes the transplanted cells easily distinguishable from the host’s native neurons. Using a long, thin needle, the embryonic neurons were then injected straight into the damaged mouse cortex. The team next carefully crafted a “cranial window” by removing parts of the skull above the injection site and fitting it with a clear glass panel. This way, scientists were able to observe individual neurons for long periods of time through the window without harming the delicate cortex or risking infection. Over the course of just a month, the transplanted neurons sprouted long, tortuous branches characteristic of cortical neurons. Tiny mushroom-shaped structures called spines popped up on the neurons’ output wires (dendrites), a process often seen in normal brain development. Since synapses grow on these bulbous spines, this suggested that the transplants were actively forming connections with other neurons in the brain. One month after transplantation, the team mapped the newly added neurons’ connectome — what brain regions they projected to and which regions they received information from. Not only was the wiring exquisitely accurate, with some extending across the entire brain, the strengths of those connections were also similar to those formed by the laser-ablated neurons. Neurons from a part of the visual cortex called V1 are very picky about what sorts of stimuli they respond to. For example, a neuron may only fire when it detects black-and-white lines presented at a 45-degree angle, but not at any other angles. This is called tuning, which develops early in life. Promiscuous V1 neurons are bad news — without selective activation, they pump noise into the circuit. By 15 weeks after transplantation, the new neurons adopted the functional quirks of V1 neurons, consistently responding more strongly towards certain line orientations than others. They remained fully functional for the entire year-long duration of the study. “These findings demonstrate that the implanted nerve cells have integrated with high precision into a neuronal network into which, under normal conditions, new nerve cells would never have been incorporated,” explains lead author Dr. Magdalena Götz at the Ludwig-Maximilians University in Munich, Germany. So what does this mean for repairing a degenerating human brain? Cell replacement therapy has been tried in Parkinson’s disease for at least two decades, but with mixed results. Impure sources of donor cells, pre-implant processing, suboptimal grafting procedures and side effects could all contribute, explains Falker. Then there’s the issue that real-world brain injuries aren’t so sterile and precise. A whack to the head, for example, can trigger inflammatory and other signals that turn the brain into a hostile environment unreceptive to neuron implants. But the team is hopeful that their regime can help in those situations as well. “We are doing this now in more realistic models, in models of traumatic and ischemic brain injury and all I can say is that it looks pretty good,” says Götz. Supply is also a problem — isolating neurons from aborted fetuses isn’t a practical solution — but recent advances in cell reprogramming could be a readily available answer. 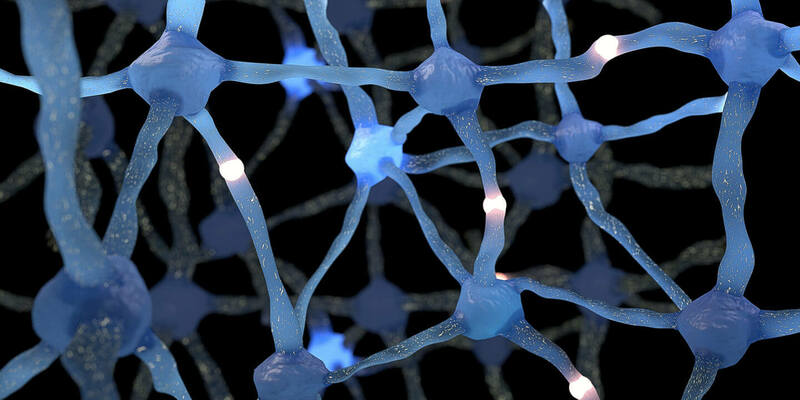 Scientists can already directly turn skin cells into neurons, for example. Other groups have also shown that glia cells — the other major cell type in the brain — can shed their identity and transform into neurons under the right conditions. Then there are iPSCs, in which a patient’s skin cell is deprogrammed into stem cells and further developed into neurons. It’s becoming more possible to get defined mixtures of cells to match the afflicted cell type in the diseased brain, says Falkner. “Once neurons die, there is, at the moment, no real therapy to make these neurons come back. Surely, at some point in the future, these approaches will be used in the clinic,” says Götz.